The natural process of wound healing is nothing short of a masterpiece. It is like a musical symphony in which multiple players work together for a beautiful final product. The process occurs in multiple phases, through literature for the undergraduate level claims a specific timeline for each phase, in reality, the phases will often overlap and be hard to differentiate. 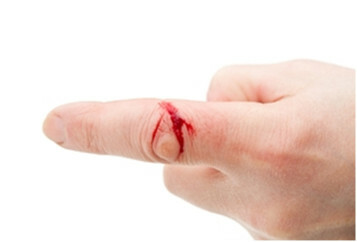 The wound healing process consists of 4 phases beginning with, hemostasis a short-lived phase. Followed by inflammation, proliferative and maturation phase. As soon a wound is formed in the presence of bleeding. Due to the damage of tissue, at the cellular level due to an injury to cells, there is release/leak of cellular components, chemokines, cytokines and hormones. There is a local release of adrenaline, prostaglandins and similar compounds will cause vasoconstriction. This will prevent further blood loss. Ideally works best when the wound is small, larger wounds wherein the blood vessels are larger, the wound will require medical intervention to stop bleeding. Along with vasoconstriction, there will also be the development of a thrombus plug, this prevents the further oozing of blood from blood vessels. Chemical mediators released such as cytokines and chemokines cause the attraction of white blood cells as well as initiate the inflammatory cascade. The purpose of the inflammatory phase is to allow free mobility of white blood vessels. The whole world is covered with microbes and all kinds of antigenic materials. Whenever a wound forms, immediately all kinds of microbes try to gain entry. It is essential to eliminate all pathogens to ensure a proper healing process. The presence of pathogenic microbe can cause a variety of infections based on their nature. An infection can cause suppuration of a wound and in case of a deep wound that reaches the bone, it can cause osteomyelitis and formation of gangrene. In the worst case scenario, this may lead to sepsis. Presence of infection delays wound healing and will prolong the inflammation. The process of inflammation causes redness at the site of injury due to vasodilation. This will not be counterproductive to the initial vasoconstriction which inhibits excessive bleeding since the blood clots would have already formed. The vasodilation allows WBC’s (such as macrophages) to move into the wound site clearing debris and pathogens. Macrophages appear to play an important role in wound healing. The release enzymes that will degrade damaged tissue and allow for the development of new tissue layers. There is migration and division of cells that allows the wound to seal up (mainly fibroblasts). During this process, basement membrane is destroyed allowing skin cells to break away from adjoining cells and migrate into the wound. The destruction of the basement membrane involves the use of enzymes such as metalloproteases and collagenases. This allows them to proliferate and re-establish fresh layers of skin. Endothelial cells migrate and form new blood vessels. Epithelialization is the restoring of all the original layers of the skin cells. After which the edges of the wound contract to reduce the wound size. This is the final phase of wound healing which can last beyond a year. During this phase that are structural changes which the wound undergoes. There are constant deposition and removal of collagen which occurs in equilibrium such that the net amount of collagen remains constant. The tissue at the wound site eventually will have only about 80% of the original strength. Eventually, there will be regrowth of myofibrils and other minor tissue at the site. The above and below images show the stark difference in how experts slightly differ on the number of phases and length of each phase. It must be understood that wound healing is not the same as regeneration. In the case of regeneration, the newly formed tissue is 100% identical, and complete function is restored. Whereas in case of wound healing this is not the case. The simple presence of scar tissue itself is proof of the fact. Wound healing by primary intention: this is the term used to describe the process of wound healing of surgical wounds where the wound is simply closed by the use of stitches staples or similar processes after the surgery. The edges of the wound are approximated and stitched together. Wound healing by secondary intention: This is the process wherein the wounds are not closed but are simply left open. Here the intent is to allow the wound to develop epithelial/granulomatous tissue and heal without approximation. There is no stitching involved. Usually slower and more prone to infections. Wound healing by tertiary intention: This in special cases when the existing wound has an infection or ulcerated and the wound is thus debrided. After this process, the wound needs to be kept open for a while for observation or epithelization, after which it may be sutured. The below image describes the various abnormal processes of wound healing. Previous Cannabis, a wonder drug?